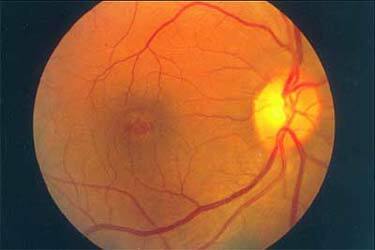 Most macular holes occur as an age related primary idiopathic condition unrelated to other ocular problems or antecedent events such as trauma, laser treatment, retinal vascular disease, macular pucker, or retinal detachment. There is a female predominance, and they occur most commonly in the seventh decade of life. Antero-posterior transvitreal traction by vitreous fibers extending to the vitreous base may lead to pathological changes that progress to full-thickness macular holes. Many occur without posterior vitreous detachment, so a new hypothesis is that tangential traction of the cortical vitreous adherent to and overlying the anterior retinal surface leads to foveolar and foveal detachment and subsequently to macular hole formation. Treatment is surgery in eyes with moderate to large stage 3 or 4 holes that cause symptoms and reduce visual acuity to 20/60 or worse. Surgery may also be indicated for eyes with small, but definite, full thickness stage 2 or 3 holes causing symptoms in patients with visual acuity of 20/40 to 20/60. The greatest periperative morbidity associated with macular hole surgery is strict postoperative face-down positioning. The duration of postoperative face-down position remains a controversial subject of macular hole surgery. Most feel closure of the macular hole for one week with gas and/or face-down position maximizes the chance for success. 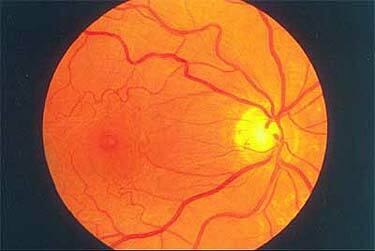 Cataracts usually develop in 2 years; there is a 93% change of closing the hole and a 72% increase in visual acuity. 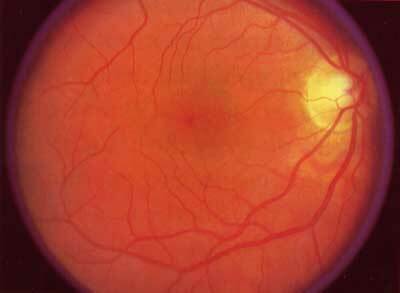 Visual acuity can improve gradually up to 28 months postoperatively. 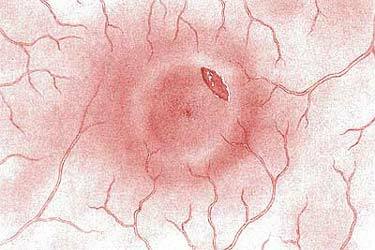 Retinal detachment is a possible complication following macular hole surgery. 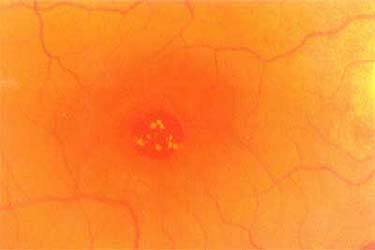 Some eyes with chronic holes may gain as much visual improvement as that achieved for holes of shorter duration. However, some patients do not improve in vision following surgery.